A simple act of defiance in a medieval square 380 miles from Madrid shows the revolutionary fervour that could crack Spain apart. The distinctive red and yellow striped Estelada flag, with its white star for freedom, hangs from the Gothic town hall in Vic, a market town in the heart of Catalonia, after the council declared independence from Spain. 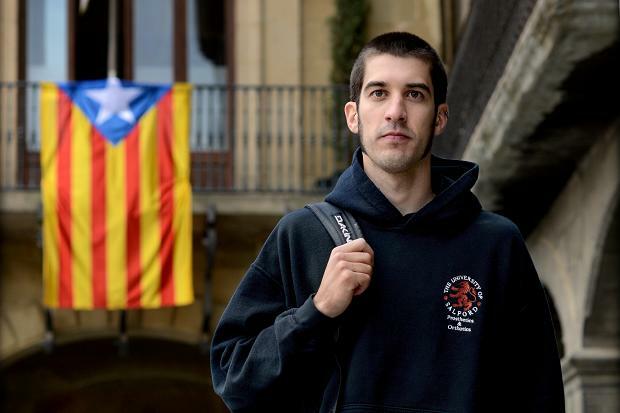 When journalists from Madrid phone up to ask if it is true that the town is not flying the national flag any more — which is against the law — officials tell them that they only have one flagpole and it is occupied.